ACX wants to feature me on their blog! A few weeks ago, the Audiobook Creation Exchange (ACX) put out a call for auditions for Guy Kawasaki’s book APE: Author, Publisher, Entrepeneur. It was all over the media for a bit, even on sites like NASDAQ. Needless to say, it got a lot of attention and a ton of narrators threw their hat in the ring, including me. A few hours ago I got an email saying that I was sadly not chosen to be the narrator for APE. I will admit I had high hopes for that one, but I knew it was a very unlikely prospect, given both the size of the talent pool and the caliber of the narrators I’d be going up against. There’s some SERIOUS talent out there and I know a lot of them went for this one. A little while after the first email, I got a second one. This one was from Scott Jacobi at Audible, with incredible news: While I hadn’t been selected, I had been one of six finalists. Out of the entire pool of more than 350 auditions- and I’m not sure if that number is the total or just the ones decent enough to be given serious consideration- I was one of just six who made it to the final cut. While it’s true that almost doesn’t pay bills, it’s also true that knowing I was good enough to be considered with the top-flight talent that must have been in that pool with me is pretty cool. As if that weren’t enough good news, Scott went on to tell me that they want to feature me on the ACX Blog next week! I’ve got a bunch of questions to answer and some background to provide, and I’ll be showcased on the ACX site! To say I’m excited would be an understatement. I’m very grateful to Audible and ACX for the extremely kind gesture. Look for me to be featured on the ACX blog in detail sometime next week! I’ll be mentioning it here and on my Twitter feed (@vox_man), so watch for it! I am super-excited about a new book I was just tapped to narrate by Tantor Audio. It’s called Thunder Below! by US Navy Rear Admiral Eugene B. Fluckey. 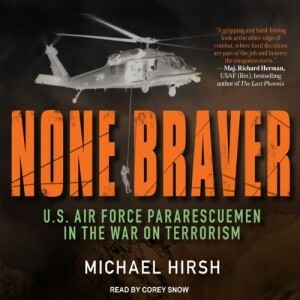 I’ve been privileged to find something of a niche in the audiobook world- military history. Over a quarter of my published books fall into that genre, starting with Valor in Vietnam, continuing through Black Hearts, The Guerrilla Factory and None Braver, I’ve really enjoyed reading and narrating these books, because they tell such incredible stories of the deeply human experience that is warfare- the heroism and the tragedy alike. I literally wept while reading Black Hearts at times, and had equally strong reactions to every one of the stories I’ve been asked to tell. As a former soldier and a combat veteran myself, it’s both an honor and maybe even a bit of a duty to tell these stories, and to do them the justice they really deserve. But when I got the email about this one- wow! To say I was stoked would be doing a disservice to the word. 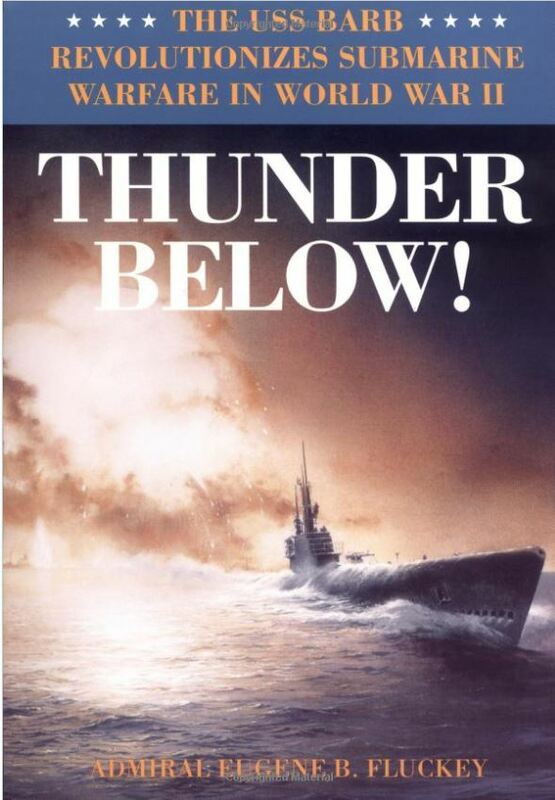 I have been fascinated with submarine warfare in WWII for many years. I blame my then girlfriend (now wife) Robin, who only a few weeks after I met her, figuratively dragged me to see “Das Boot” at the local cinema in 1995 (she had a bit of a thing for Jürgen Prochnow). It was the really long cut and had an actual intermission. I went, prepared to be bored out of my skull. Boy, was I wrong. 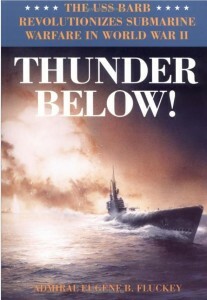 After seeing that film I began devouring everything I could about submarine warfare in that era. From the German U-Boats to the American Gato, Balao and Tench class subs, I was fascinated. I was lucky that Robin had a pretty sizable collection of books on the topic already. Sank a large number of Japanese cargo ships and support vessels. Launched torpedoes into a group of 30+ enemy vessels at anchor in water nine meters (about 30 feet) deep, getting 8 direct hits on ammunition transports and doing massive secondary damage, then ran at 150% engines (setting a speed record of 44 km/h) for a full hour through uncharted, rock-strewn and mined waters to escape. Unharmed. Was the first submarine to use rockets successfully against enemy targets. 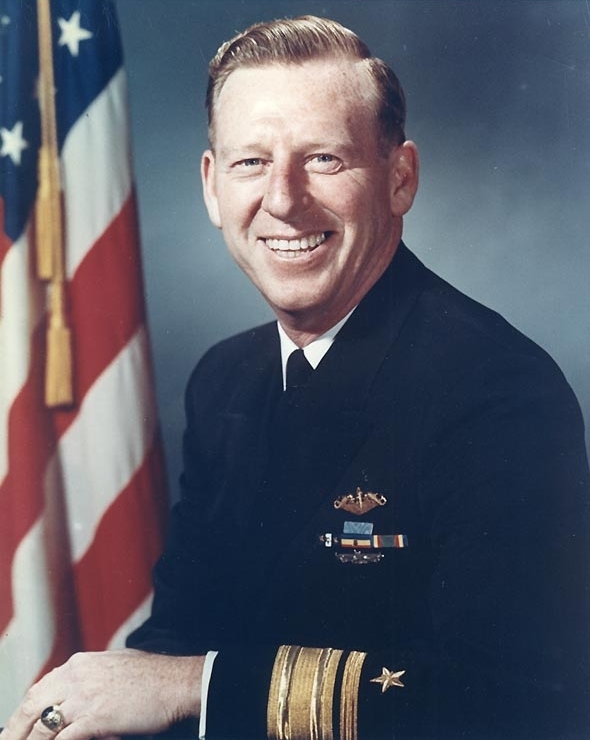 Pioneered whole new doctrines of submarine warfare. Conducted the only land operation on the Japanese home islands during WWII, planting charges and destroying a railroad train after landing a shore party. These were sailors, trained to operate a submarine, not Marines trained for land combat. Eugene Fluckey was awarded the Medal of Honor for Barb‘s actions during her 11th combat patrol. I knew a bit about Barb and Fluckey before being tapped for this book, but after doing a bit more research, I can tell I’m going to really enjoy reading this book. It brings together a number of my interests, and Fluckey has some of the most compelling stories there are to tell about WWII, and every review I’ve read says he wrote it in a very engaging and accessible style. I will be starting narration on it in early July and I imagine it will be out by August. Once I have a publication date, I’ll update this post. Hello my friends! I’ve been somewhat slow with my blog updates, which is something I really should rectify. I love blogging and I need to really devote more time to it, because I have some good stuff to say- at least I think so. When you write YOUR blog, is it nothing but shameless self-promotion and “look what I did?” posts? Because that’s such an easy trap to fall into, but people aren’t interested in a list of your achievements. Your friends and family might be happy you got a new gig, or that your latest client loved your work- and make no mistake, that’s very important- but in the end your blog should be about being interesting to your customers and to your peers. Why peers? Because in the world of VO, oftentimes your peers are your customers and vice-versa. It’s a very small world we operate in and I’ve lost count of how many times I’ve gotten a job from a fellow VO whose client was looking for a voice like mine. So take a tip from me and when you step up to the blog editor, have a topic in mind that you want to share information on. That said, it’s perfectly acceptable (in MY opinion, anyway) to occasionally have a bit of self-promotion. Your blog is where customers come to see your work and it’s good for them to see that you are in fact booking work. Just don’t make it the centerpiece! 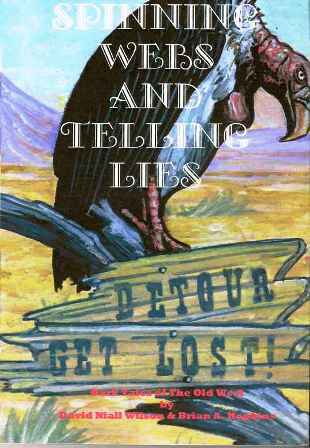 I’m very pleased to announce that I’m currently recording Spinning Webs and Telling Lies, a collection of dark Western-themed short stories by David Niall Wilson and Brian A. Hopkins – both Bram Stoker Award Winners! I’m recording multiple short stories, each with its own theme and sound. Some have what I refer to as a “cowboy poet” sound, where the narrator could be a cowboy telling ghost stories around a fire with the horses mere shadows a few feet away, while some have a more neutral delivery- and there’s even some first-person stories about a particular man carrying a dark secret and a terrible power. In short, it’s a lot of fun and a real challenge. I’m really enjoying it and it should be completed fairly soon! 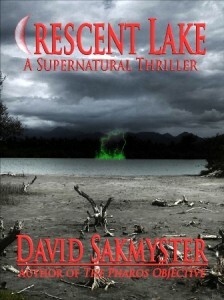 I’m extremely pleased to announce that I’ve been chosen to be the narrator for David Sakmyster’s horror thriller Crescent Lake! It’s a horror novel set in a small town in Washington State, where informant Nick Murphy is hiding out from the mob and his past. What he finds there is both disturbing and terrifying. David Sakmyster’s work is highly regarded and I’m honored to be chosen to narrate this novel. It promises to be a good time and I know you’ll all enjoy it immensely once it’s released. I’m very excited to be embarking on another audiobook for Crossroad Press. 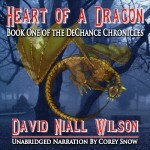 Be sure to check out the other audiobook I did recently for Crossroad, Heart of a Dragon by David Niall Wilson. Heart of a Dragon is published! Hey there- I mentioned a few weeks ago that I had begun work on a new audiobook project for Crossroad Press called Heart of a Dragon. I’m proud and pleased to announce that it’s now published and available! Get your copy today. I’m pleased that I was recently tapped to do the audiobook version of David Niall Wilson’s book Heart of a Dragon, by Crossroad Press. It’s an urban fantasy with some horror elements and a great read. I’m really enjoying doing the audio version of it. As I told David when I first read it I was surprised I hadn’t seen any of his work before now (an error I intend to rectify, by the way!) as I’m a major fan of urban fantasy and gothic horror. I even produced a horror stage play back in 1999, which is not something everyone can say!